His comments were circulated in an emailed statement entitled: "It's Real Me, President Buhari Responds to Cloning Allegation." 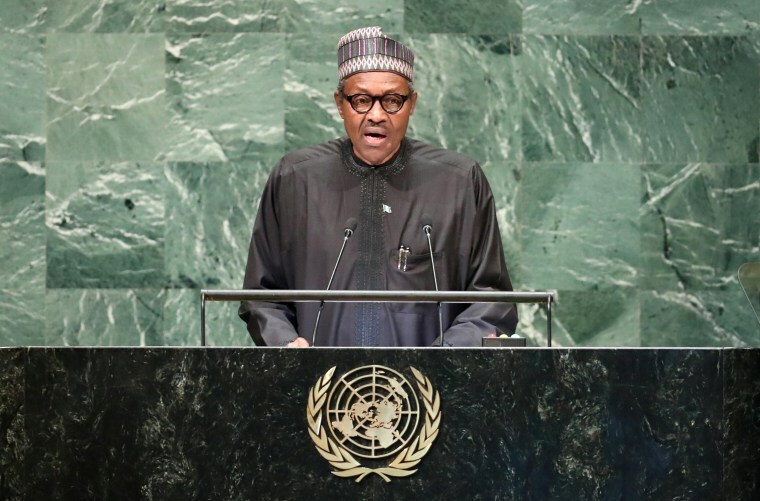 ABUJA, Nigeria — Nigeria's President Muhammadu Buhari on Sunday denied claims that he had died and been replaced by a impostor, breaking his silence on a rumor that has circulated on social media for months. Buhari, who is running for re-election in February, spent five months in Britain last year being treated for an undisclosed illness. One theory widely aired on social media — and by some political opponents — was that he had been replaced by a lookalike from Sudan called Jubril. "A lot of people hoped that I died during my ill health," he said, adding that those who spread the rumor were "ignorant and irreligious." The presidency circulated Buhari's comments in an emailed statement entitled: "It's Real Me, President Buhari Responds to Cloning Allegation."